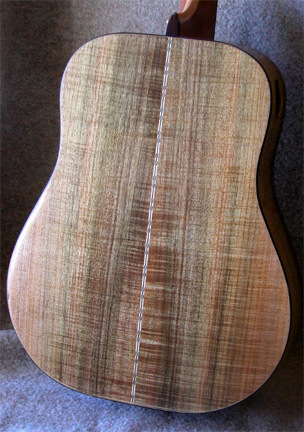 This is a dreadnaught guitar made of black acacia (a relative of koa) and European spruce. 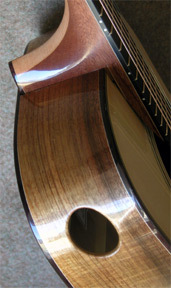 Construction features include X-braced hand tuned top, bolt-on adjustable neck with modern 2-way truss rod, sound port, and carbon tube compression braces to stabilize the neck joint. 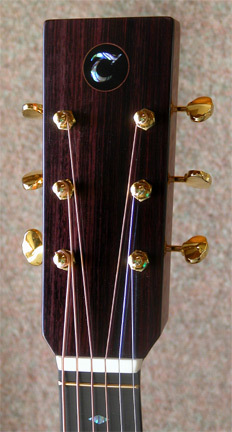 Decoration includes rosewood bindings with maple veneer edges, herringbone purfling and rosette, and abalone inlays. 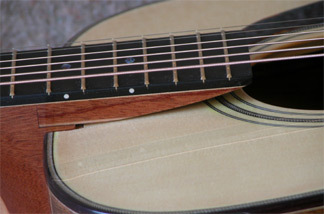 The bone end pin and bridge pins contrast nicely for that traditional dreadnaught look. 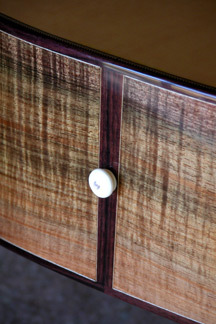 Finish is gloss water based lacquer. 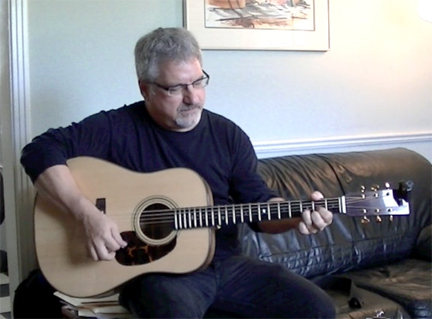 The sound is big and powerful, perfect for bluegrass flat picking.